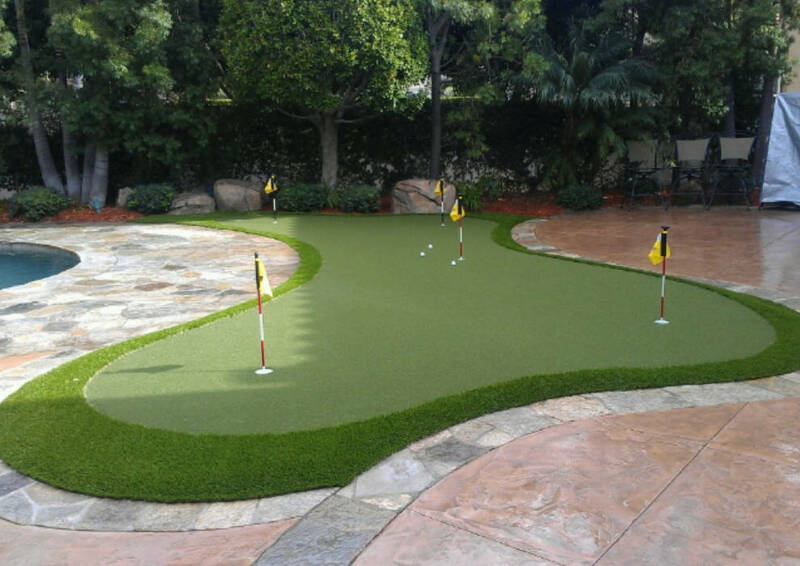 * Putting greens with custom elevation, built-in undulations/breaks on a surface with a good stimpmeter rating. 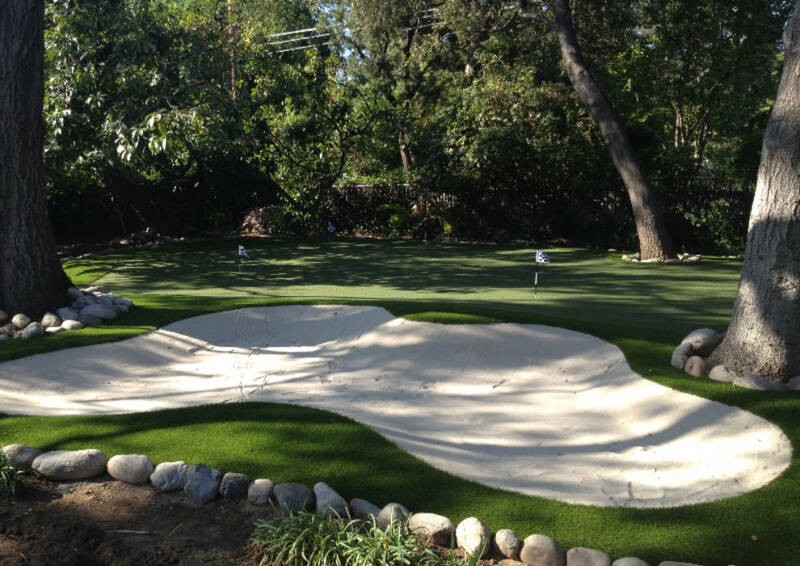 * Bunkers filled with the best grade sand to really perfect the Mickleson shot. 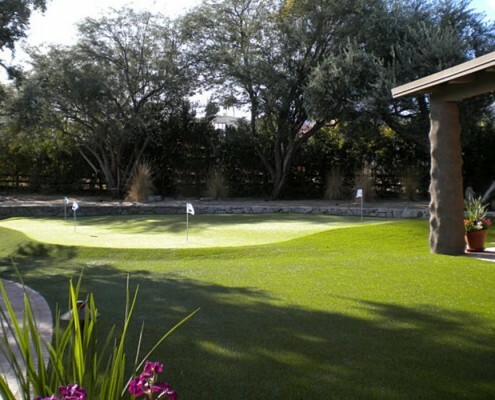 * Fringes and semi-rough (practice chipping). 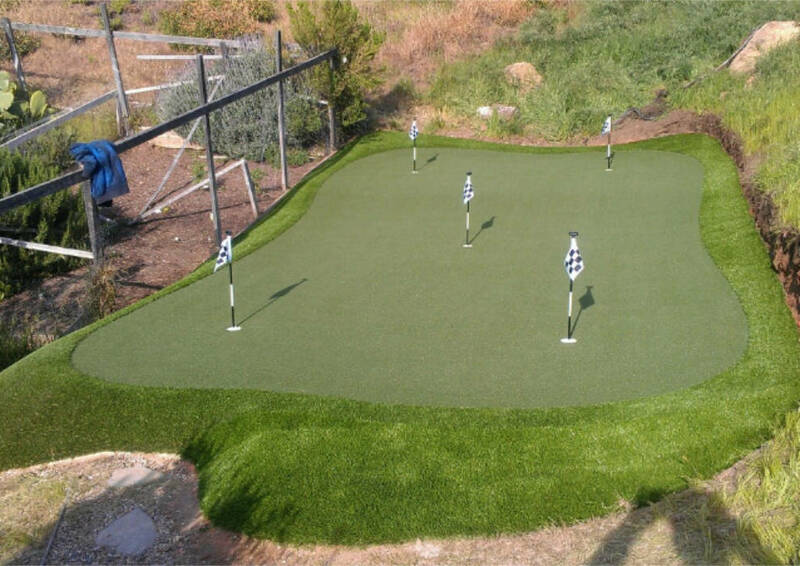 * Tee areas and nets. 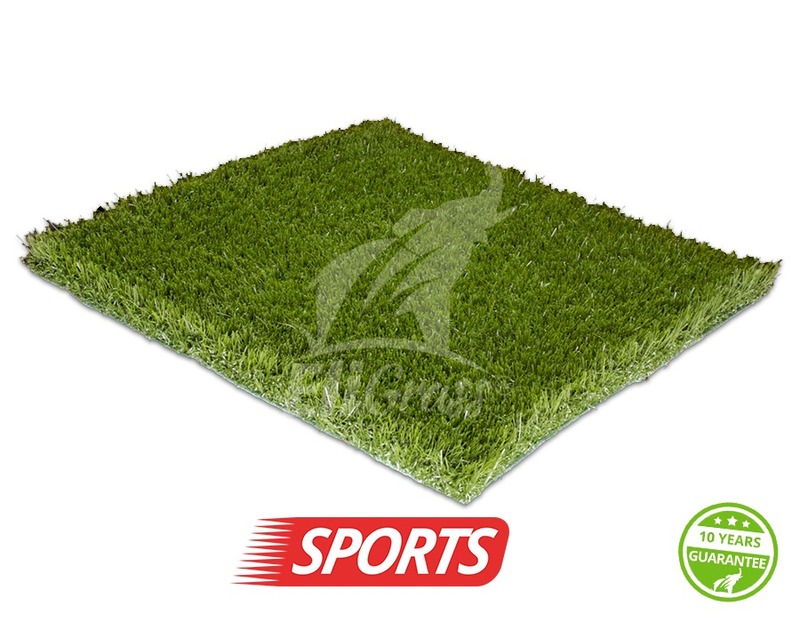 Our artiﬁcial sports grass is built to last with no water and virtually maintenance free compared to real grass, yet it looks very realistic. 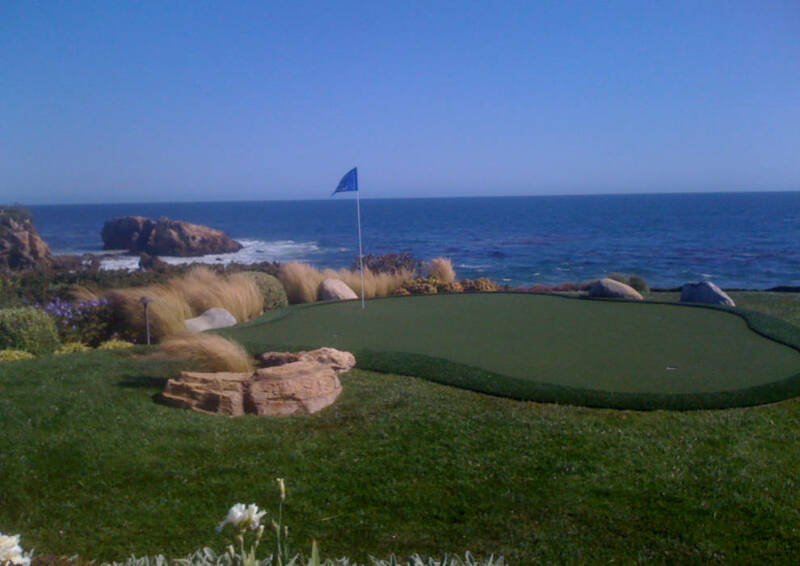 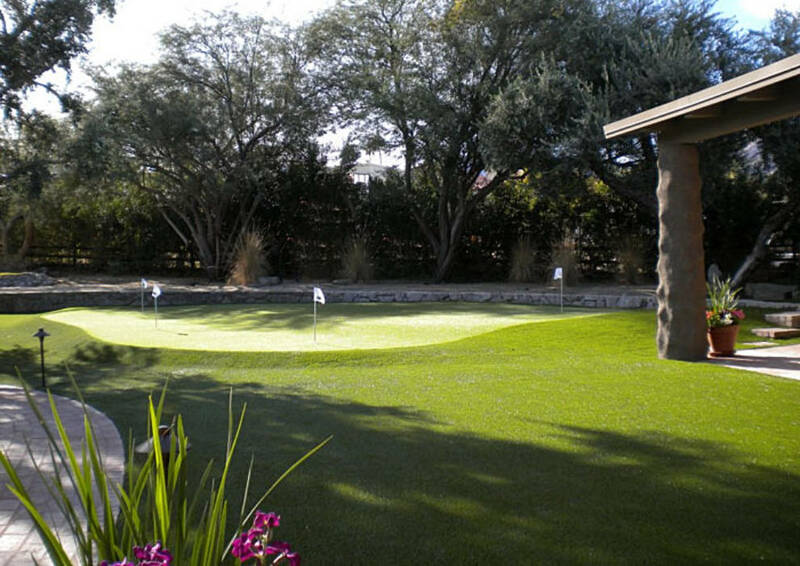 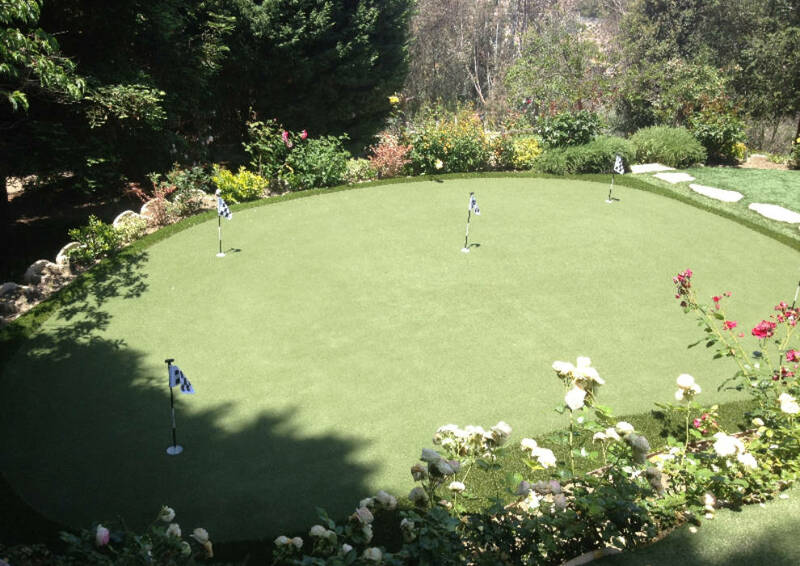 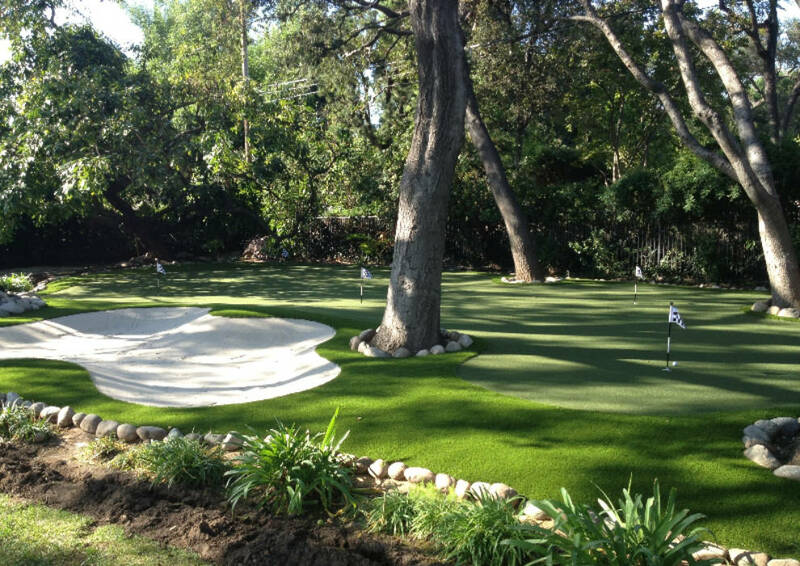 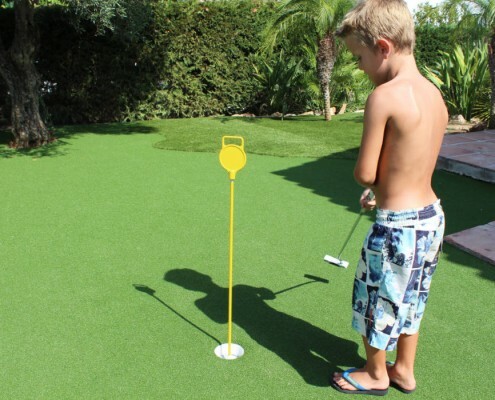 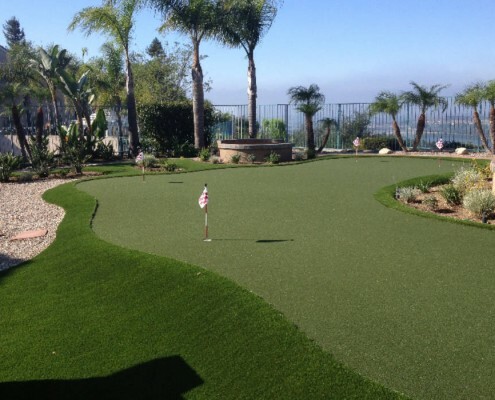 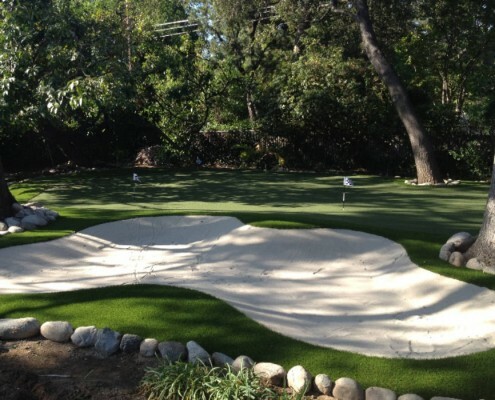 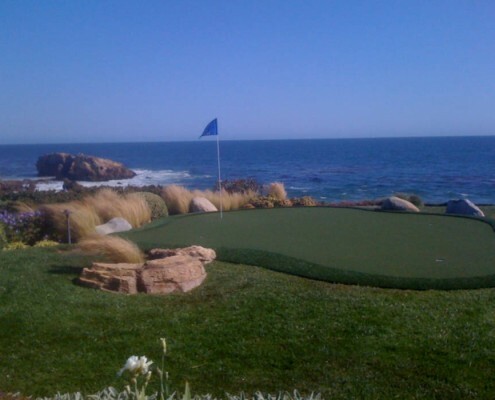 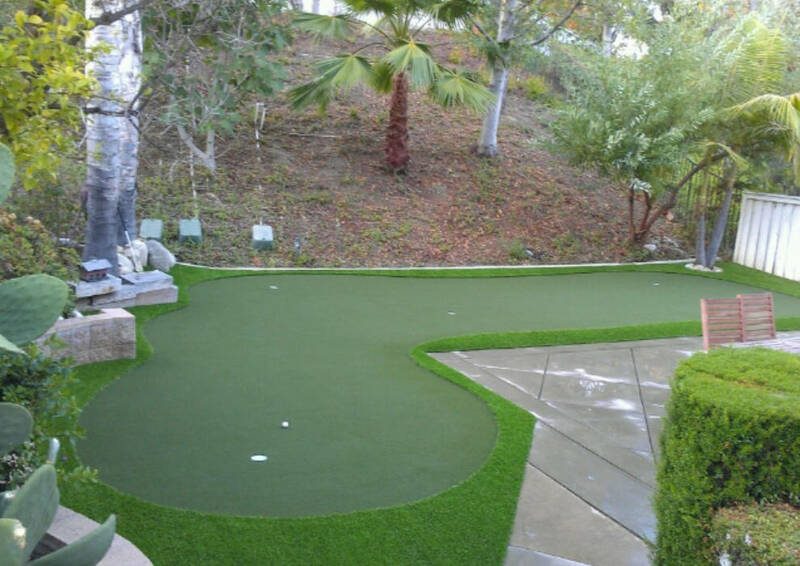 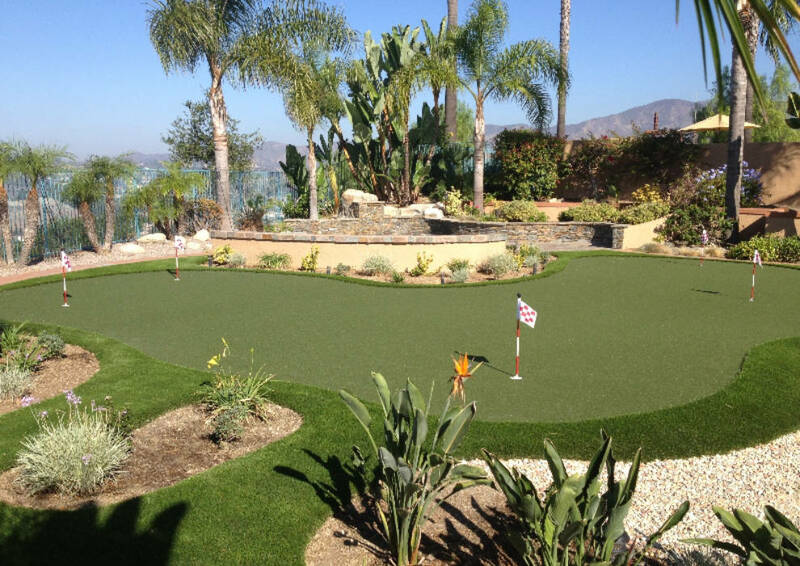 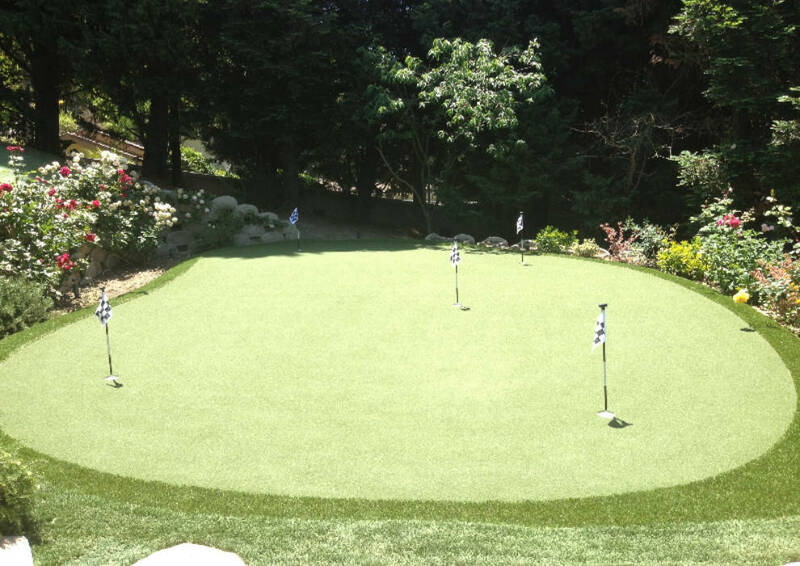 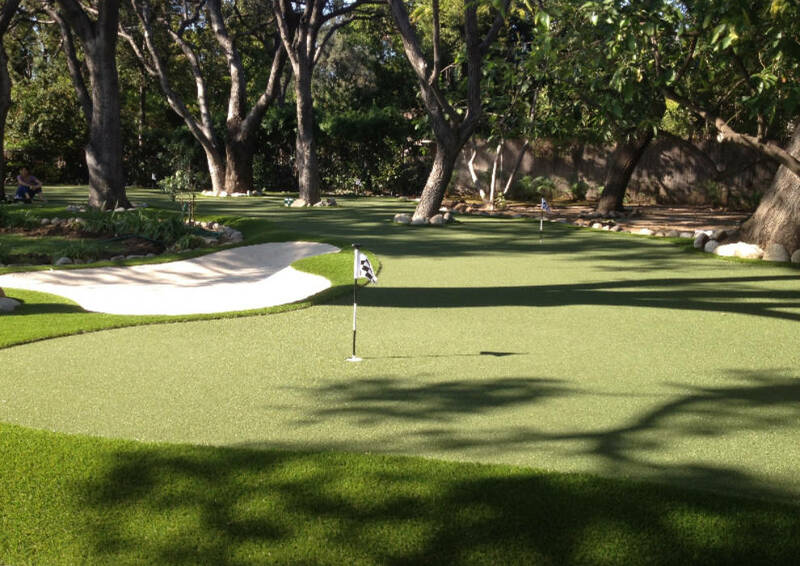 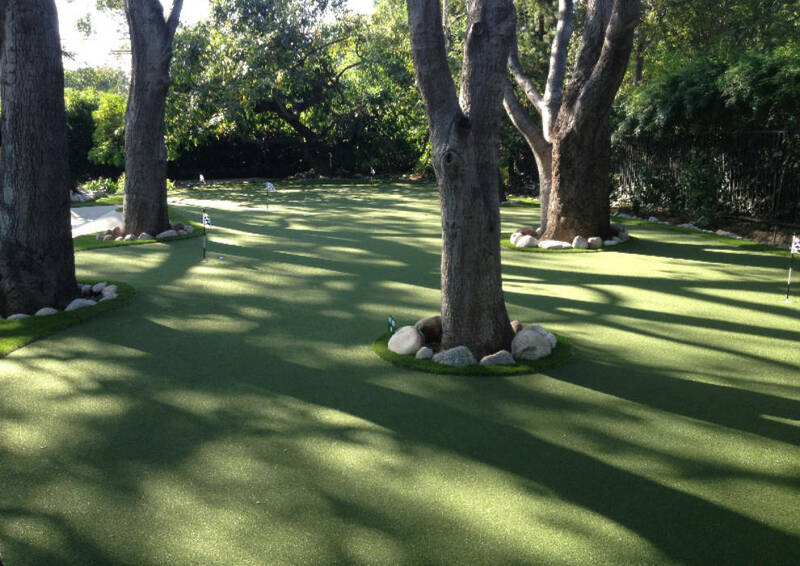 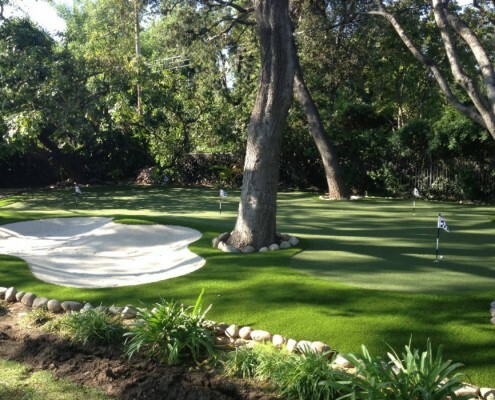 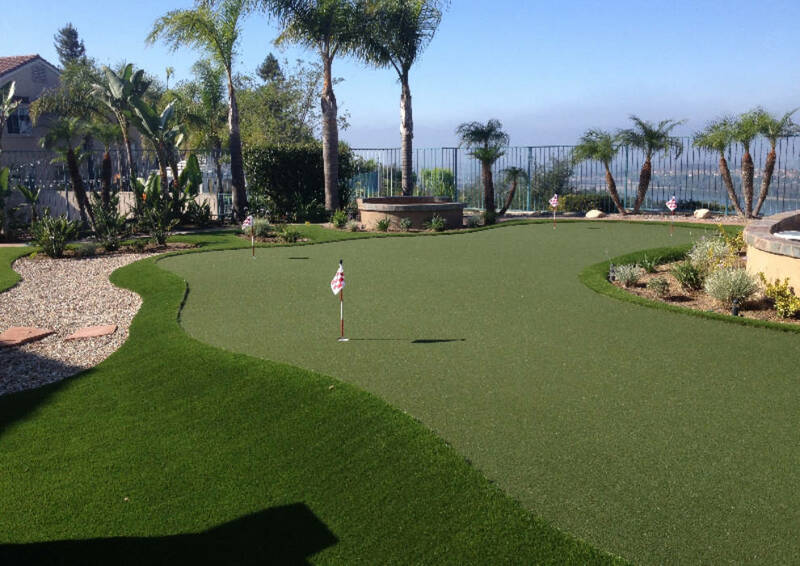 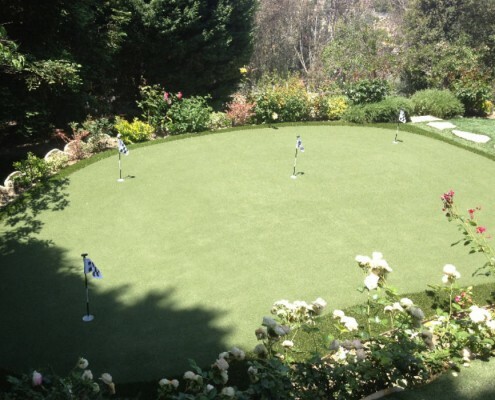 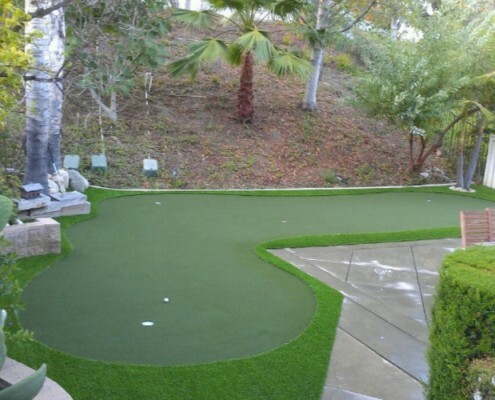 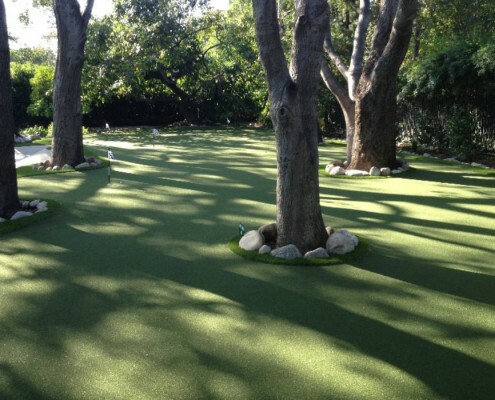 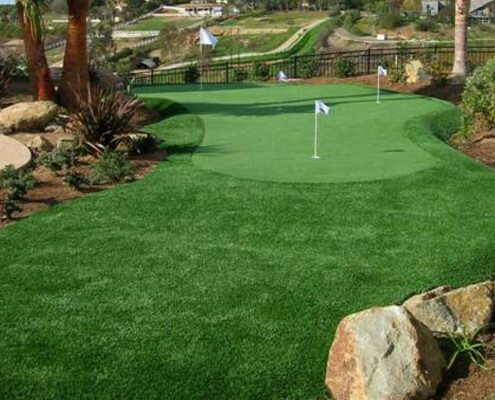 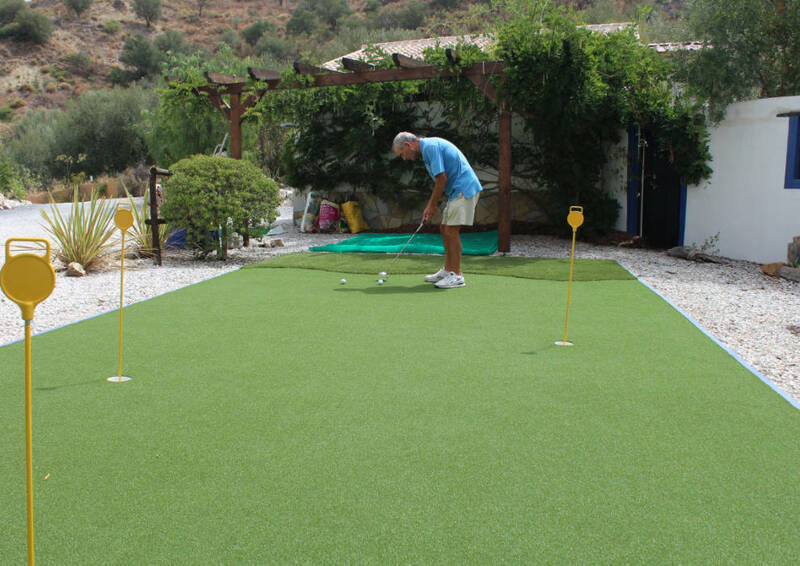 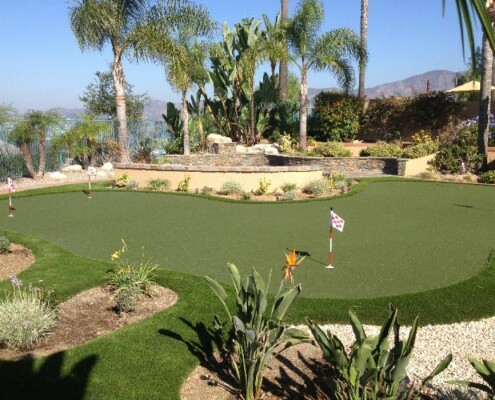 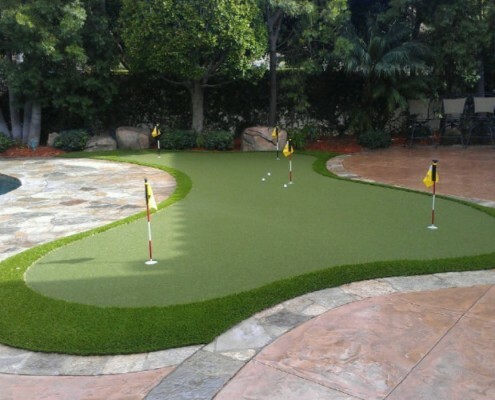 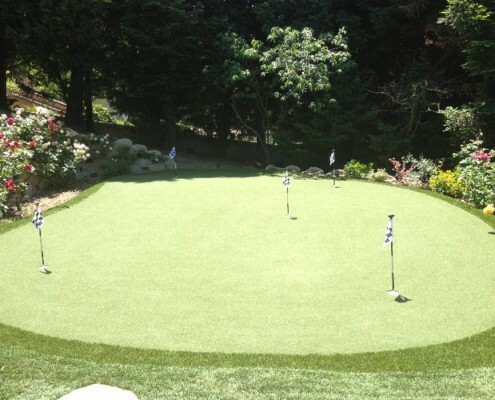 Our putting greens are designed to be used by professionals, amateurs and instructors everywhere. 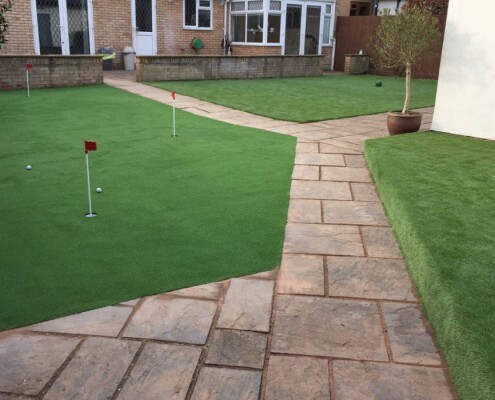 The savings on maintenance costs, durability and the possibility of intensive use, have become extremely cost eﬀective. 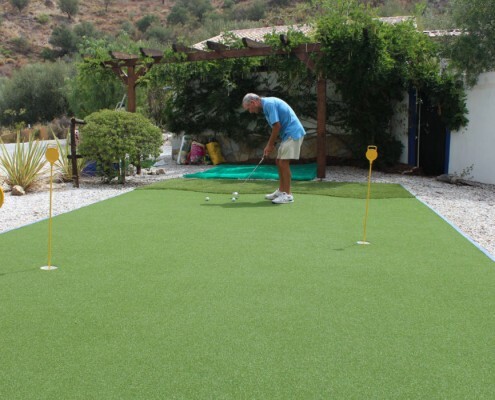 Several models are available with diﬀerent ﬁbre types studied and tested for each type of game. 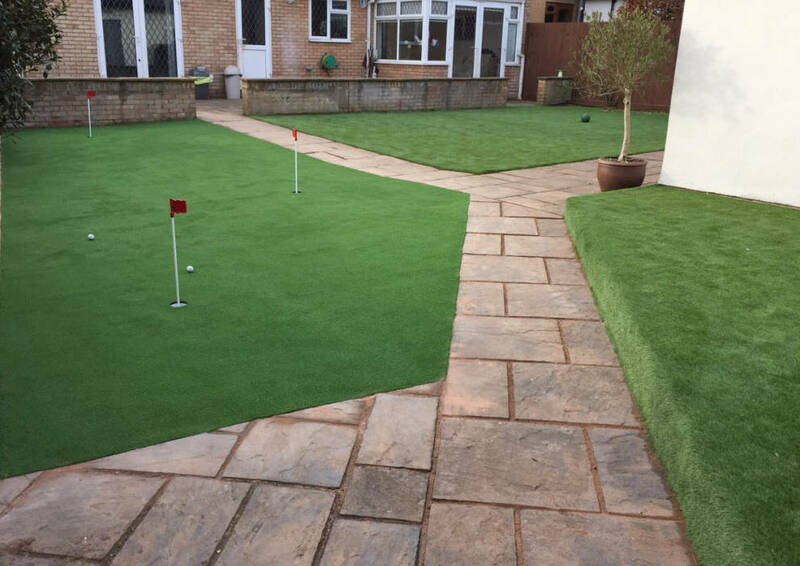 12 and 13mm height. 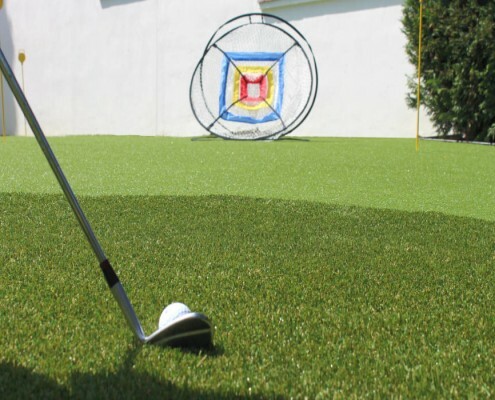 Made from polyamide or polyethylene fibres because the soft, non-directional curled fibres play the ball similar to natural greens and all have a stimpmeter rating of between 10 and 11 (average to fast). 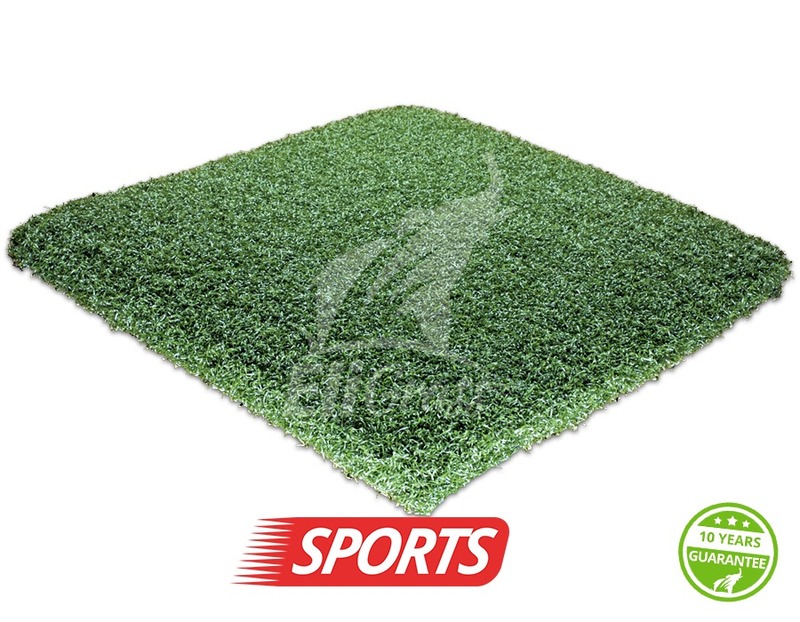 To obtain even more speed, a sand fill is recommended. 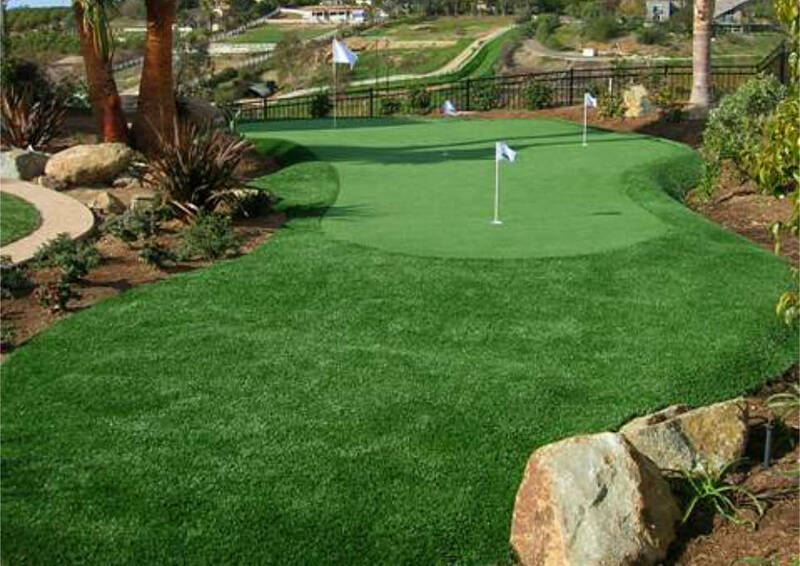 36mm height. 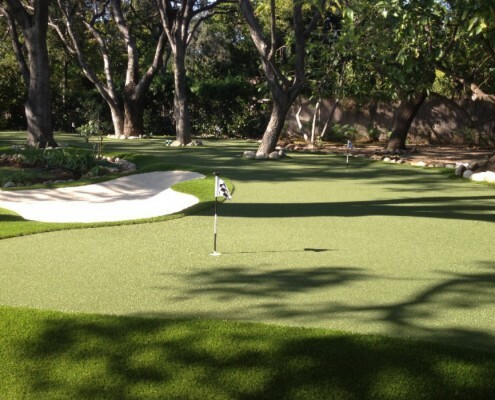 Tee grass is the ultimate product for a perfect tee line. 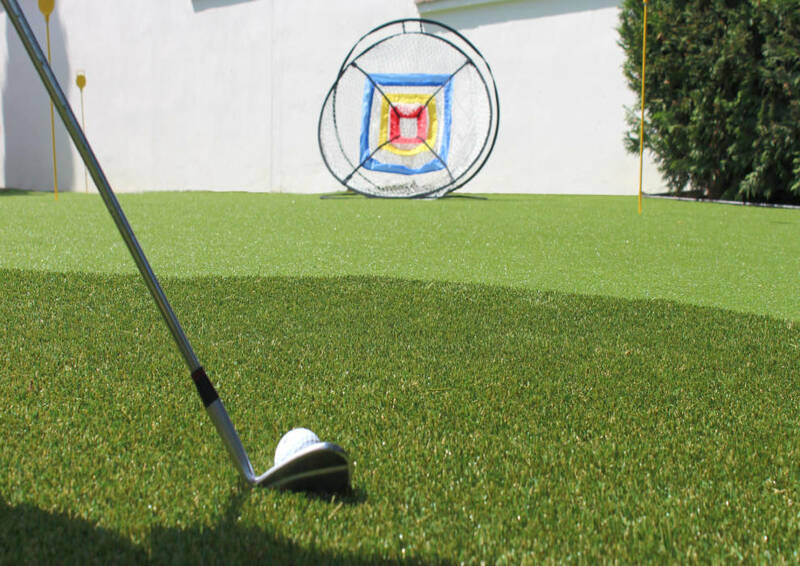 Polyamide fibres lock up the tee and provide the perfect stability to hi the perfect ball. 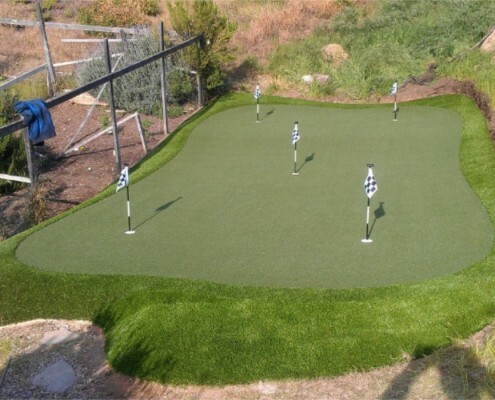 A mown area about 4-6mm higher than the green in a 1-metre wide ring appropriate for approach shots in golf and practice areas made of polyethylene and polyamide-based two-tone brown. 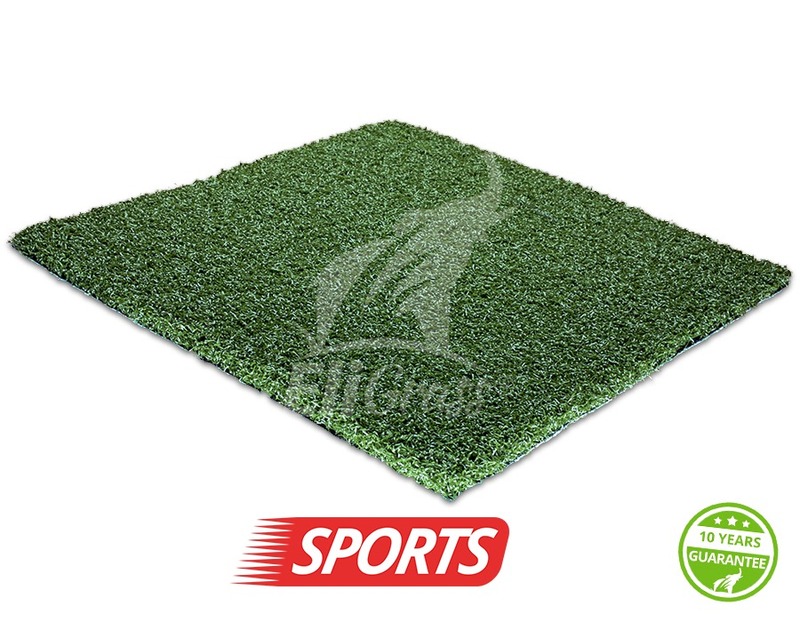 Specially designed for areas of fairway and pitch and putt this is a bi-colour artificial grass fibre concave section that retrieves itself.